. 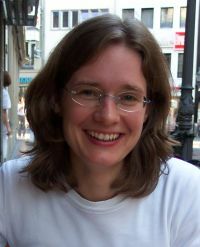 : Homepage of Eva Lasarcyk, Department of Computational Linguistics and Phonetics, Saarland University :. I joined Speech at Amazon in December 2014. However, I still receive, and intermittently read, my coli emails in case you would like to contact me. Post-doctoral researcher in the Project C1: Information Density and the Predictability of Phonetic Structure of the Collaborative Research Center SFB 1102: Information Density and Linguistic Encoding. Evaluation of different speech synthesis systems with regard to their possibilities to carry out voice manipulations for behavioral and EEG perception experiments, in collaboration with Heiner Drenhaus. I am interested in state-of-the-art speech technology and its use in everyday life as well as in research, currently using synthesis techniques to study human speech production and perception. How does the quality of synthetic speech influence perception? How can speech synthesis be used to model articulatory mechanisms and characteristics of speech, such as regional pronunciation or smiling? Furthermore, I am interested in techniques for conducting web-based listening tests, and especially also interested in applications of speech technology to everyday settings in the home, mobile, e-health, and assisted living environments. I completed my Ph.D. thesis in phonetics under the supervision of Prof. emeritus William J. Barry and Prof. Dr. Bernd Möbius, at the department of Computational Linguistics and Phonetics, Saarland University, and the International Research Training Group Language Technology and Cognitive Systems. The focus of my thesis is twofold: I have been addressing questions of speech production mechanisms regarding (mainly) paralinguistic phenomena, and assessing the capabilities of a new "discovery tool" for phonetic research. I have used the articulatory speech synthesis system VocalTractLab, developed by Peter Birkholz, to explore production and perception aspects of articulatory synthetic speech. The speech phenomena investigated so far include larynx height and voice quality, laughter in conversational speech, speech laughs and smiled speech, means to convey (un-)certainty in speech, synthesis of vocal age, and the articulatory simulation of a German regional accent (Saxon). The studies are mostly explorative in nature to find out how well the articulatory speech synthesis system is suited as a "discovery tool" for phonetic research, where the goal is to investigate articulatory processes in speech production. The experiments cover sub-glottal, glottal and supra-glottal aspects of speech production, and they are evaluated by acoustic, visual-articulatory, and perceptual means. At our institute, Ingmar Steiner also worked with this articulatory synthesis software. Teaching introductory courses (Introductions to the speech sciences, transcription and phonology) at the Institute for German language and literature studies (Germanistik), Abteilung Neuere Deutsche Sprachwissenschaft (NDS), Saarland University. SS 2013, WS 2012/13, SS 2012. Besides teaching basics of phonology and transcription of Standard German pronunciation, I focused on the transcription of regional pronunciations and foreign-accented pronunciations. Project work at Lehrstuhl für Sprach- und Signalverarbeitung der Universität des Saarlandes in the BMBF-Projekt "Softwarecluster EMERGENT" (2011-2012). Mitarbeit am Lehrstuhl für Experimentelle Neuropsychologie der Universität des Saarlandes / International Research Training Group "Adaptive Minds" (2010-2011). Visiting PhD student at the Centre for Speech Technology Research (CSTR) at the University of Edinburgh during autumn 2009. Organization of a research project during the 2008 IRTG Annual Research Meeting in Edinburgh: Search Engine for Phonetic Corpora. Participation in the Johns Hopkins Summer School and Summer Research Workshop in Baltimore in 2008, working in the team of Vocal Aging Explained by Vocal Tract Modeling. Organization of a research project during the IGK Annual Research Meeting 2007: aXenTTS - Synthesis of Foreign-Accented Speech. Organization of the social activities during the annual research meeting. Perl-Programmierkurs SS 2007 (with Ingmar Steiner). Eva Lasarcyk, Heiner Drenhaus, Bern Möbius (accepted). Experimente zur Wahrnehmung gezielt degradierter synthetischer Sprache. 26. Konferenz Elektronische Sprachsignalverarbeitung (ESSV 2015). Eichstätt, March 2015. Eva Lasarcyk, Peter Birkholz and William J. Barry (accepted). Imitating a bi-dialectal speaker using acoustic-to-articulatory inversion: Articulatory basis of vowels in Saxon and Standard High German. International Workshop on "Multilinguality in Speech Research: Data, Methods and Models". Schloss Dagstuhl, April 2014. Website Relation Extraction in the Food Domain.